Back in Ireland–centuries ago–the Terrier was a dog which had a large presence in the poorer communities. There were many different variations of the Terrier (spanning across Ireland and Britain) and they were used for multiple different reasons. It ranged from the Wheaten Terrier acting as a utility for farmers (herding cattle) to smaller Terriers hunting badgers and burrows. It was only in England that a handful of breeders–in the 19th century–decided to try and streamline the different breeds. In this time we see the formation of many of the Terrier breeds we know today, but unfortunately, the Soft Coated Wheaten Terrier (as a specific breed) doesn’t have a much-written history. It’s said that they’re probably a mix between the Kerry Blue Terrier and the Irish Terrier and were a dog that hunted vermin competitively (they used to hold competitions to see which Terriers could clear the most rats—they would bet on certain dogs). Traits from both origin canines are dominant, and both lived in the same territories. What we do know is that the Soft Coated Wheaten Terrier arrived in the US after World War II, and made their start in Massachusetts. They quickly rose to popularity among certain Irish and dog communities and were a breed recognized a lot later than most of the 155, having been inducted into the AKC in 1973. The Soft Coated Wheaten Terrier personality isn’t really the scrappy, confrontational attitude the breed is notorious for. In fact, they’re generally well-tempered, have hunt in their blood, and are generally affable. The Soft Coated Wheaten Terrier traits are certainly make them alert, greeting strangers in any situation, but don’t exert much aggression when confronted with unfamiliar situations. They like to play, and their long (often matted) hair gives them this sort of goofy, charismatic aesthetic that owners often fall in love with. Their prey drive is definitely still present, and they’ll often chase around squirrels or bark at birds (at times children–but we’ll touch on this later). But despite this, these docile creatures are both loyal and fun to have as a household pet. They have that contagious enthusiasm and spunkiness often seen in Terrier breeds but seem to have done away with the ill-temper (although they can certainly be dignified and stubborn). As a bigger Terrier, they have well-rounded personalities and make fantastic pets (if raised correctly). The Soft Coated Wheaten Terrier characteristics make them a relatively docile breed. They also have an intelligence that allows them to learn easily. They can certainly be a handful, but are by-in-large adaptable and can even live in apartments (permitted they have enough socialization and exercise). Puppy classes are a big must with this breed, as they can often be independent to the point of rebelliousness. If they’re taught to be obedient, and you establish yourself as the alpha of the household and use a positive reward system, their path to adulthood should be paved by the personality they’re coveted for. Early socialization is a must, too, as this dog needs to be exposed to the world in order to mitigate any aggression or nervousness. In their puppy years, they should be constantly surrounded by other people, dogs, environments, and children (if they’re present in the home). When training them, especially if you’re mixing exercise and obedience classes together, be sure that they’re in a properly fenced in area, as they have a strong enough prey-drive to send them reeling into the far on a squirrel chase. They’re only recently gaining serious popularity, which means they’ve had a strong go of responsible and ‘pure’ breeding, and their original traits are still dominant. But these dogs are generally trainable, take a bit longer to housebreak, and require consistent attention and guidance. This is definitely a dog that needs to see the outdoors and needs to get the run out of its legs. A half hour of exercise a day should suffice, with perhaps a couple bouts of play in the yard sprinkled between. Like most Terriers of their origin, they love to play games like fetch or chase you around if you let them. Toss a ball in the yard and that prey drive will kick in and you’ll have a very enthusiastic canine. Do note, due to their coats, these dogs don’t fare well in extreme conditions. They hate the rain because of the weight it gives them, and they hate the heat because it makes them wilt. When exercising, this knowledge needs to be taken into consideration, as they’re often very uncomfortable in these conditions (not so different than the Irish!). However, these dogs are energetic, which only adds a bit more oomph to the importance of their exercise. In an apartment, they should be taken out for longer periods. In a home with a yard, they should be given time to run around freely. But again, to drive the point home: make sure it’s secured (as they’ll run), and expect a mess because they love to get dirty, and have the hair to help them do it. A Soft Coated Wheaten Terrier typically lives anywhere from 12-15 years. Are Soft Coated Wheaten Terriers a Popular Breed? The Soft Coated Wheaten Terrier ranks 50th in the AKC’s most popular list of 155 dog breeds. This rise of popularity hasn’t even had a century to develop, as in America they only became popular in the late 1950’s. However, the charm, stamina, and affable nature make these dogs a favorite for many (not to mention the aesthetic, and they’re generally well-tempered with children). They’re a great dog to have in a place without seasons, and they’re loyal to no end. 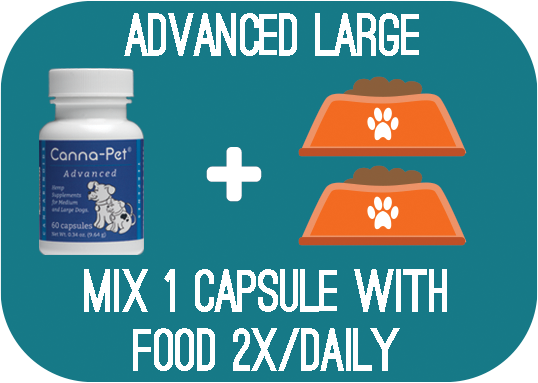 The recommended amount to feed a Soft Coated Wheaten Terrier is 1.5-2 cups of dry food per day, separated into two even meals. These dogs aren’t necessarily glutinous about their food, and often have a lot of energy (meaning they’ll burn it off), but it’s still important to monitor their diets closely. Age, metabolism, activity level, and weight all need to be considered when creating a healthy diet for your Soft Coated Wheaten Terrier. Be sure that–with their routine–they’re not experiencing weight gain because of their meal plan. Also, a little note here is that they love to eat everything, so be sure they don’t wind up sick because of something you left on the floor. The Soft Coated Wheaten Terrier actually doesn’t shed, because it doesn’t have an undercoat (that’s a bit of an exaggeration–but they shed very little). You’d think this means they’re easy to maintain, but exactly the opposite. The long hairs often wilt, matt, and tangle, and have a propensity to harbor filth (especially because this dog loves to get dirty), and needs constant attention. Their colors are usually a variation of wheaten (as I’m sure you couldn’t guess), with shades of summer gold to nearly white (they’re often a bit beige). The interesting thing about their coats is that often–in their puppy years–they’re significantly darker than when they mature into adulthood. Also, many think–since there’s only one coat–that these dogs are naturally hypoallergenic. While they can be somewhere near there, it’s a common mistake made when purchasing this breed, as often owners are disappointed when they start sneezing like crazy around the home. Only bathe when necessary, as you want this dog’s coat to be as natural as can be. Brush them daily, and be sure not to let their natural oils diminish under a product you’re using. You’ll need a whole arsenal of combs, brushes, and thinning shears for this job. Every serious Soft Coated Wheaten Terrier owner recommends going to the groomer for a few lessons before trying to manage the coat on your own. Take that into consideration. In terms of hygiene, brush their teeth 2-3 times a week to avoid tartar and bacteria buildups. Trim their nails monthly, check their bodies for infection, redness, inflammation, parasites, and rashes. Be especially thorough around the ears and eyes (especially if their hair has grown over) as they can often harbor muck with those locks. Beauty certainly has a price at times. Are Soft Coated Wheaten Terriers good with children? The Soft Coated Wheaten Terrier does well with behaved children, or children they’ve grown alongside since both were infants. Due to their prey-drive, if the child plays too hard, they can be a bit aggressive in return (with a tendency to chase them around or nibble). They’re not a yappy breed, but they’ll bark if they want to, and that’ll scare children. It’s generally recommended that either they’re introduced at a very young age, or the Soft Coated Wheaten Terrier joins a family with older children. As with all dog breeds, it’s important to properly introduce the children and canine, and teach both of them how to appropriately interact with each other. Addison’s Disease: this condition occurs when the adrenal hormones don’t produce properly. The symptoms include a loss of appetite, excessive vomiting, and a complete loss of energy. It often goes undiagnosed because it seems as if the dog is just ill from diet, when really something more serious is happening. If untreated, it can then affect the cardiovascular system, and cause heart failure. Renal Dysplasia (RD): this condition occurs when the kidney doesn’t develop properly, which eventually leads to renal failure. They say this condition is inherited, and dogs that fall victim to it should never be bred. Symptoms include dire thirst, increased urination, vomiting, and sometimes blood in the urine. There is often no cure for this particular disorder, and it can strike quickly, rather than gradually. Hip Dysplasia: not as common in this breed (but still enough to be on the list) this occurs when there’s a displacement between the thigh bone and the hip joint. Symptoms include an abnormal gait, severe pain when walking, lameness in the leg(s), and in extremely severe cases immobility. Hip dysplasia is usually never serious, can be screened for, and there are multiple different treatments available. It’s a joint related issue treated the same way we do with the human anatomy. Elbow Dysplasia: in the same vein as hip dysplasia, this occurs when there’s a displacement in the elbow. Symptoms are relatively the same, with the exception that elbow dysplasia often makes it incredibly difficult for the canine to extend its arm. There are treatments available, however, and at times corrective surgery must be done to ensure mobility. He was on several medications. He now is only on Canna-Pet and is a happy canine senior citizen.